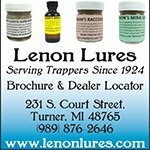 Mink Traps - Which Size Works The Best? When choosing mink traps to use on your trapline you basically have two options....footholds and/or body grip traps also known as conibear traps. While they both work great for trapping mink, they each have their specific time and place on a trapline. For example, if you're going to make a pocket set which is a common set used by many trappers, then a foothold trap is your best choice. If you're going to make a bottom edge set where you place a trap along the undercut of a bank where a stream or river flows along the edge, then a conibear trap will work the best. Mink have a reputation for being very difficult to trap. They're intelligent, travel long distances in search of food and can seem very illusive at times. 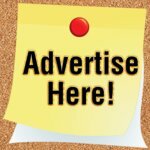 However, once you master a couple of basic sets and learn how to effectively identify mink habitat and sign, you'll soon find that trapping a mink is not really that hard. Plus, as an extra bonus you can trap a lot of muskrats in your mink sets because they both travel along the same areas. As a general rule, any size trap that would work for a muskrat can be used for a mink. 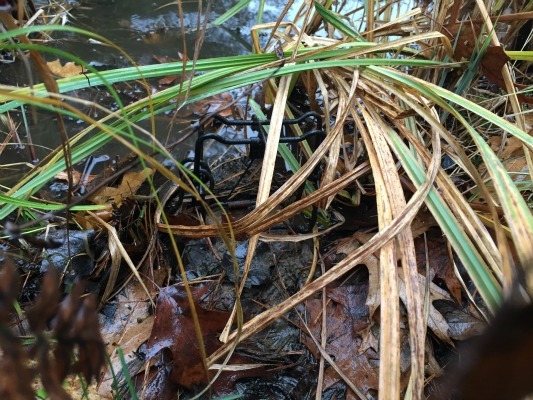 Although you can use a #1 longspring trap if the springs are in good shape, my favorite foothold trap for mink is the #1.5 coil spring. The coil spring is stronger, faster and easier to conceal when compared to the longspring making it a better choice when comparing the two. Plus the traps are easy to carry when walking through the woods since they're more compact and they're heavier than the #1 longspring which helps to quickly drown the mink after it's caught. 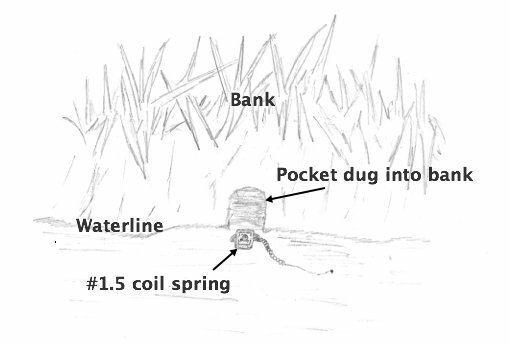 The picture below shows a common pocket set used for mink and muskrat using the #1.5 coil spring trap. If you're serious about trapping mink and muskrat, add a handful of #1.5 coil springs to your collection.....you'll be happy you did. 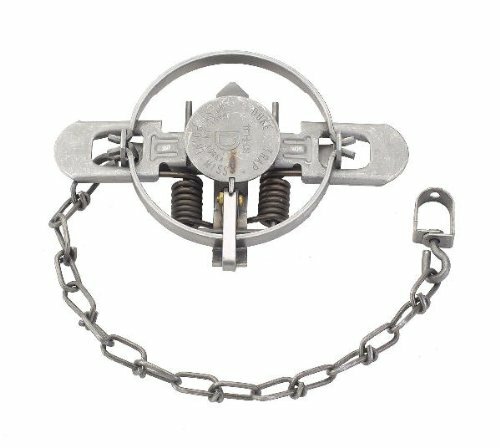 Using a 110 or even a 160 conibear trap, also called a body grip trap, is another very effective trap for both mink and muskrat. They're commonly used to make blind sets or trail sets when bait or lure is not used. A small mink trail found in the tall grass or a "pinch point" where a steep bank meets with the waterline are both great spots to use a 110 conibear for mink. 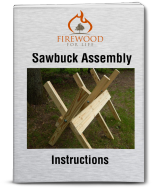 You can also use a 110 conibear to make a crossover set which is basically a small trail a mink or muskrat uses to connect two small marshes or bodies of water. 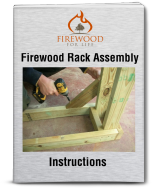 When used with a brick that has a small clip attached to the top, it's a quick and easy set to construct and you can place them virtually anywhere. The picture below shows a dyed 110 conibear trap attached to a small brick using the clip. 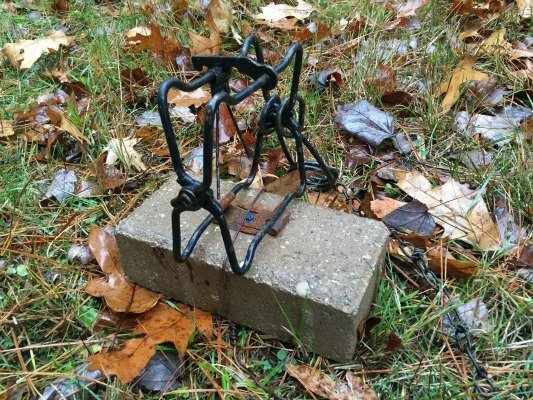 To make the set simply burry the brick in the mud and you have a strong, sturdy set and the brick prevents the animal from dragging your trap away since the trap chain is secured to the brick. The above picture shows a completed crossover set for mink and muskrats. If you're interested in trapping mink, add some #1.5 coil spring traps and 110 conibears to your trap supply. 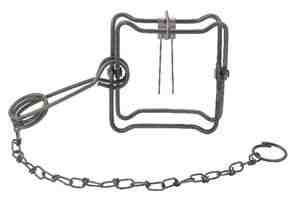 The traps are relatively inexpensive, easy to carry and most importantly.....they work great!